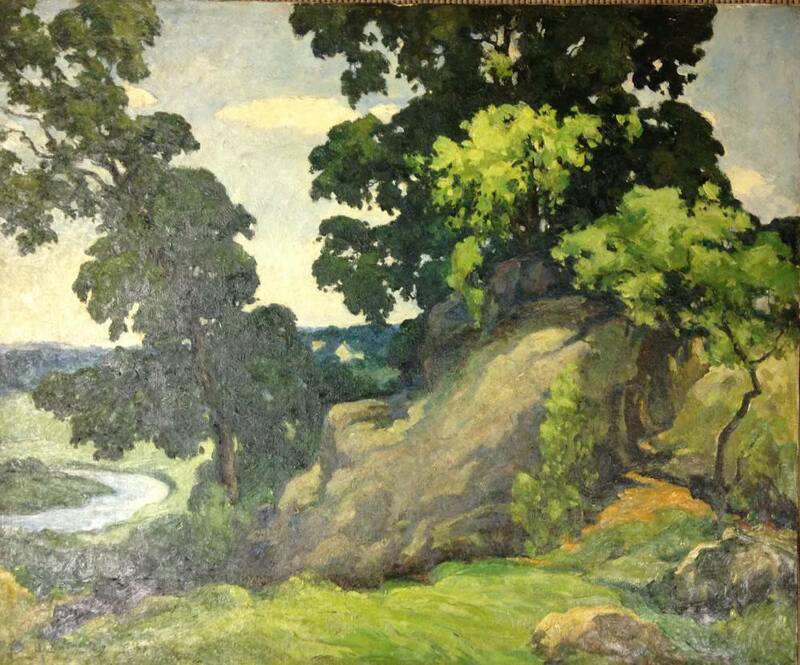 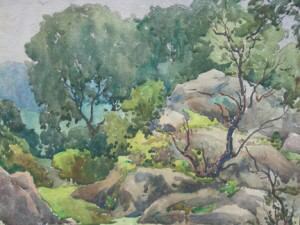 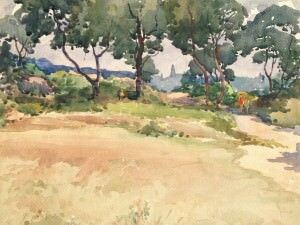 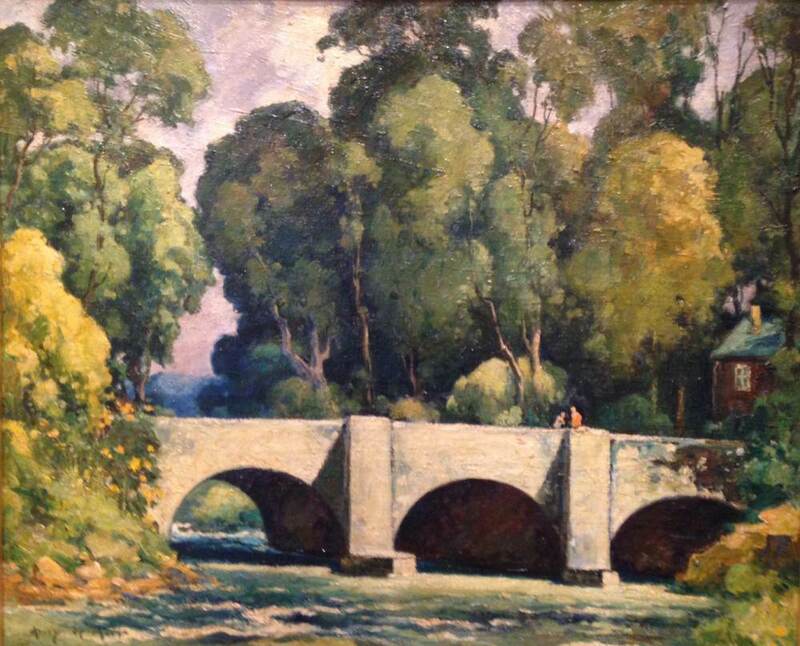 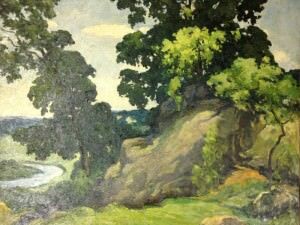 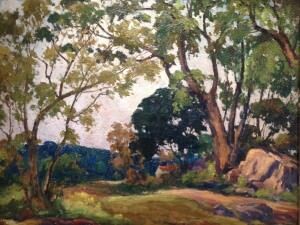 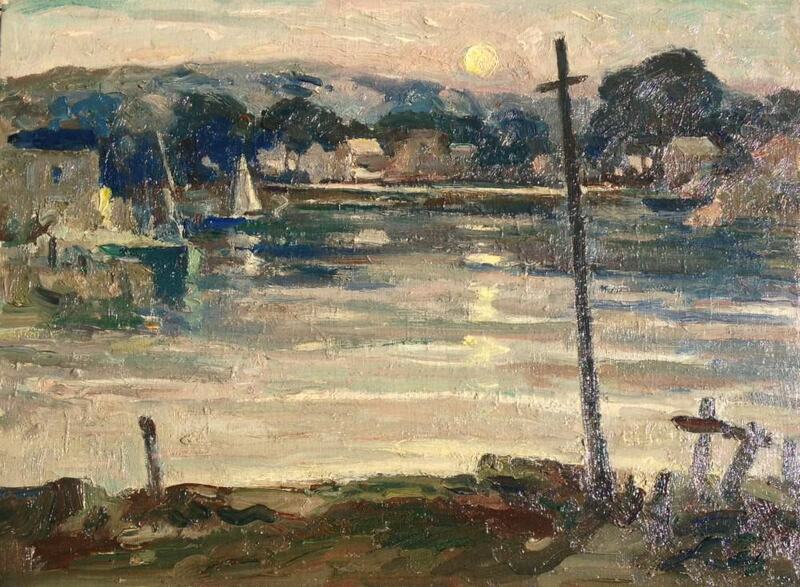 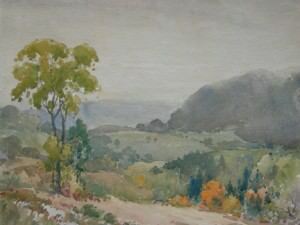 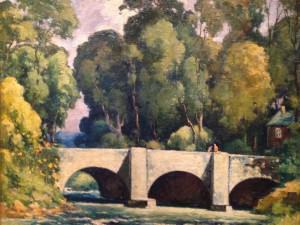 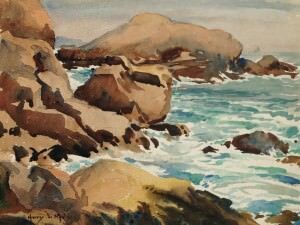 Harry DeMaine was born in Liverpool, England in 1880 and grew up in Bolton Abbey, Yorkshire. 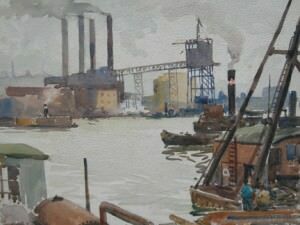 His formal arts education began at the Liverpool City Art School, which then brought him to study painting and printmaking in London. 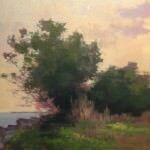 This experience led DeMaine to continue his education at the Académie Julian in Paris, where he began to exhibit in salons, initiating his career as an artist. 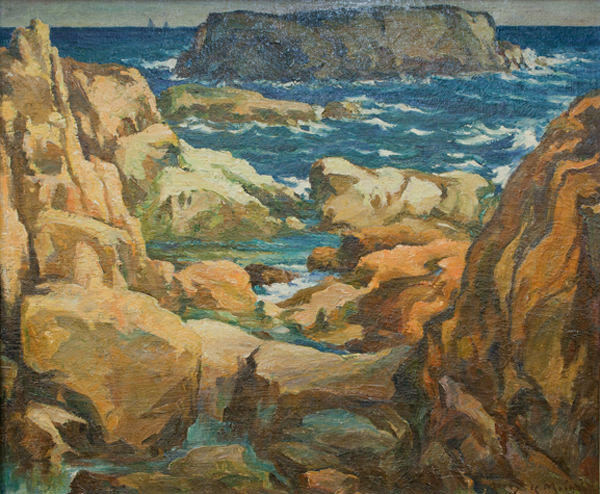 During the first World War, DeMaine volunteered with the American Field Service, an ambulatory force of youths that aided the French Army. 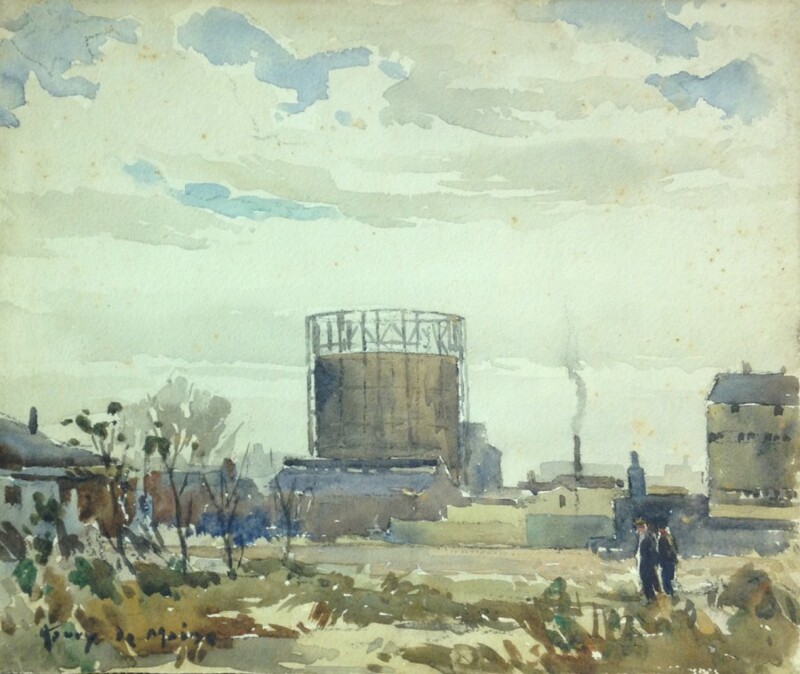 His service continued when he joined the British Expeditionary Force and fought with the King’s Royal Rifle Corps. 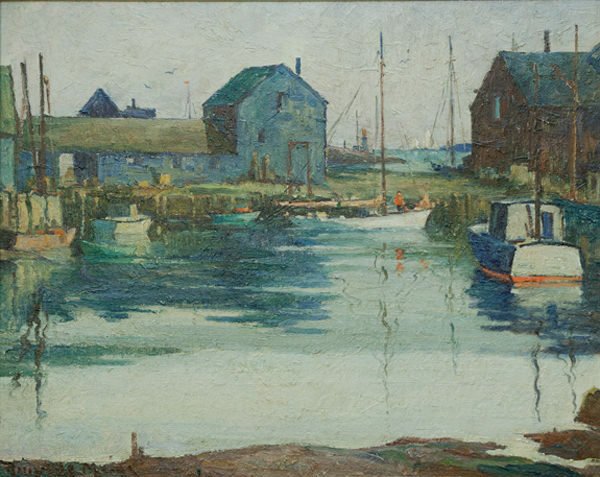 Upon being discharged from active service near the end of the war, Harry DeMaine made America his home and became a naturalized citizen. 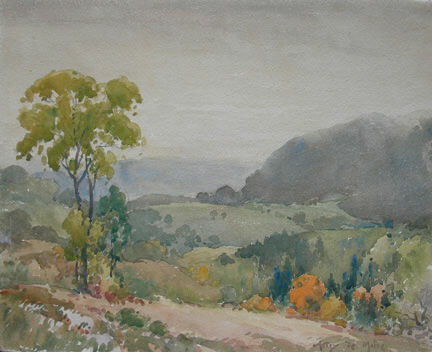 In 1926, he re-met Lucy MacDonald (whom he had previously known from the Field Service), and they married soon after in 1928. 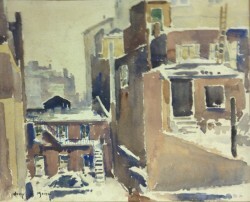 Settling in New York, he began to exhibit widely in both individual and group shows, receiving prizes for watercolors and oil paintings alike. 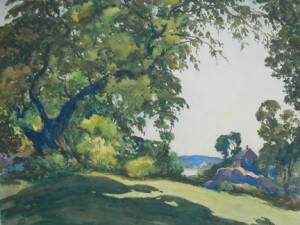 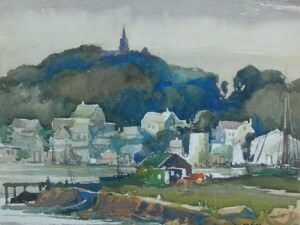 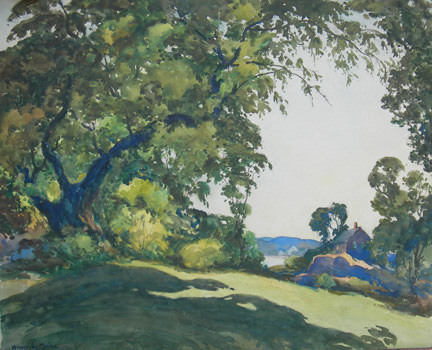 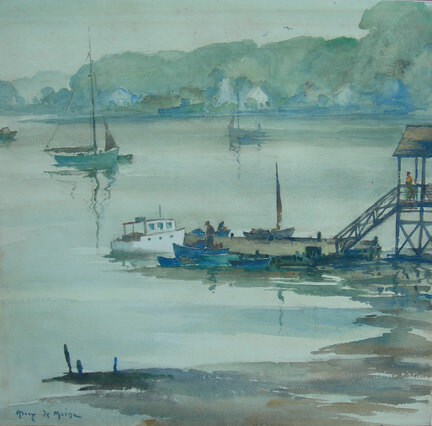 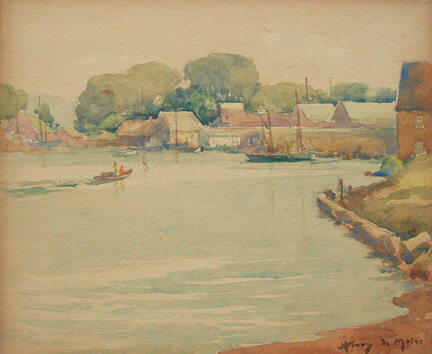 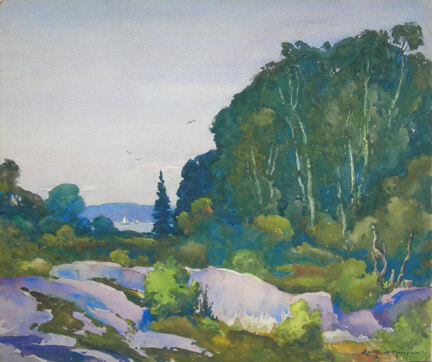 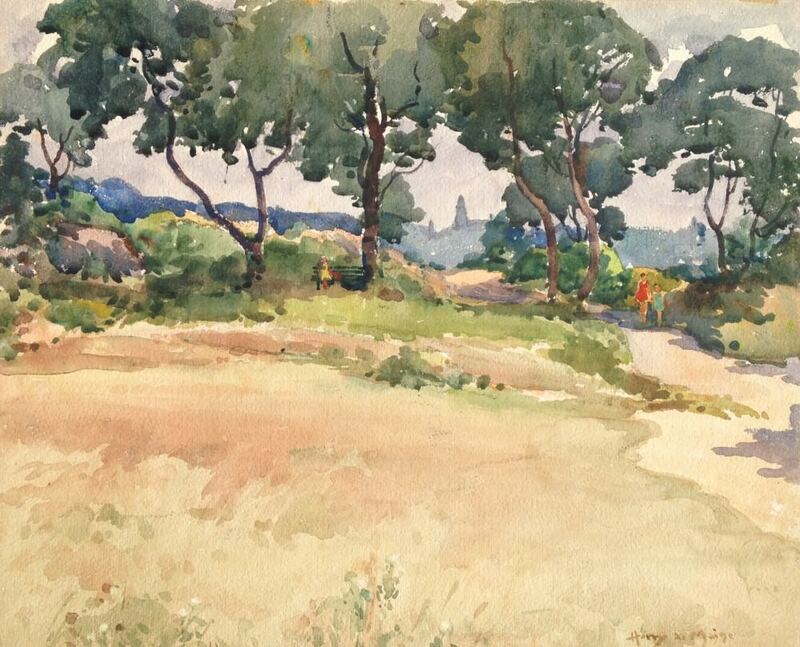 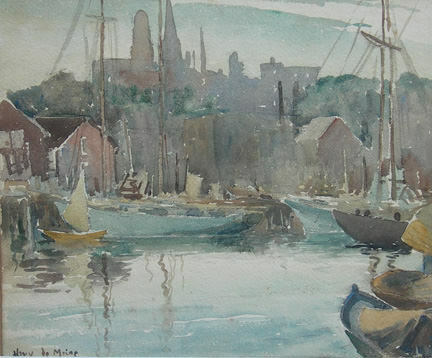 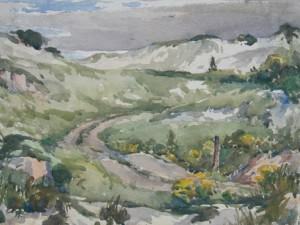 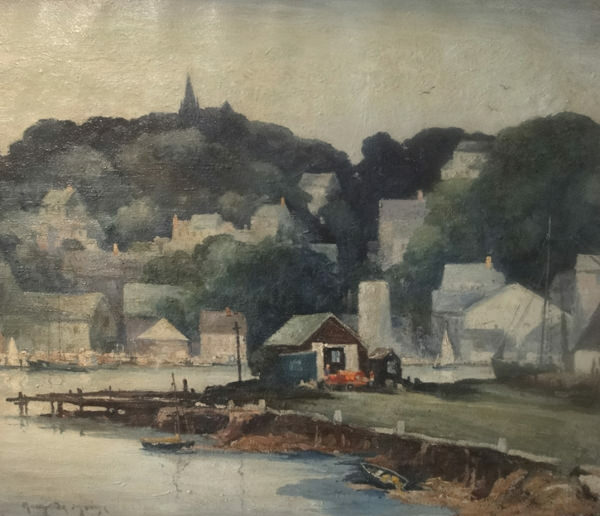 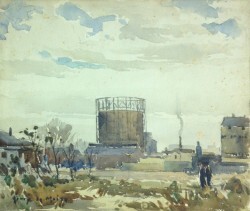 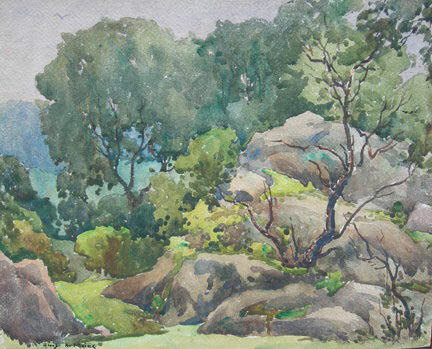 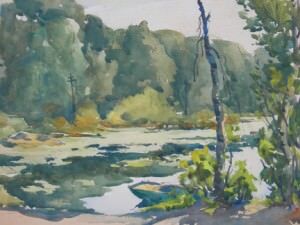 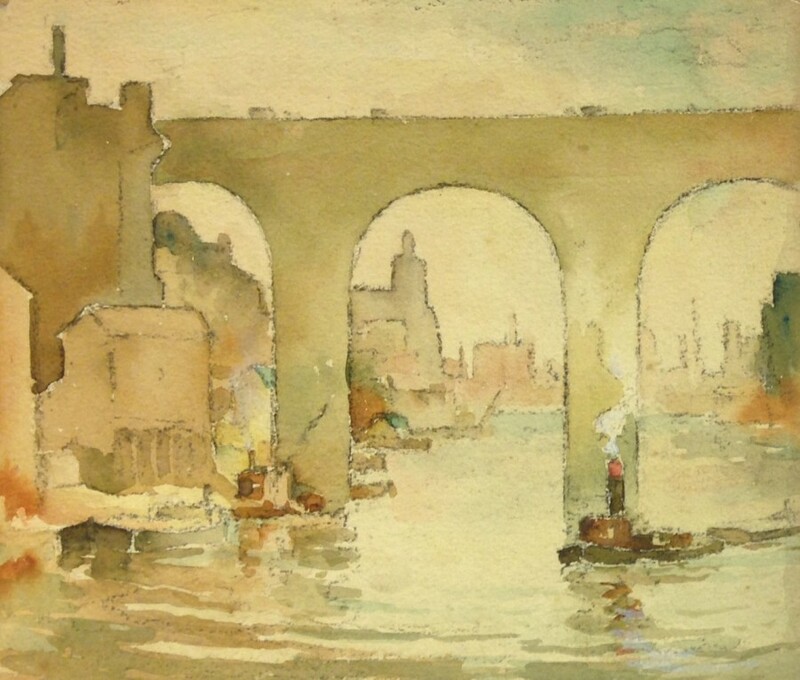 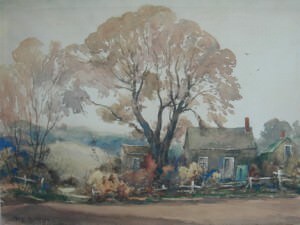 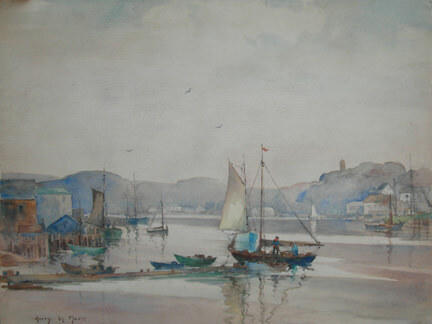 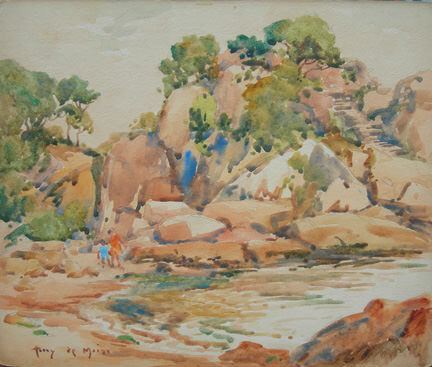 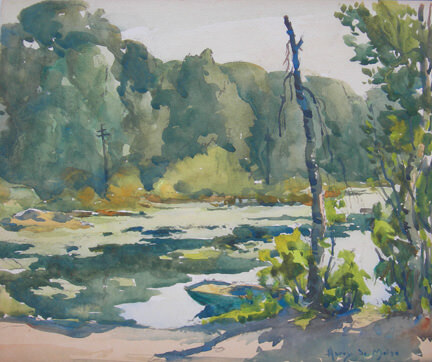 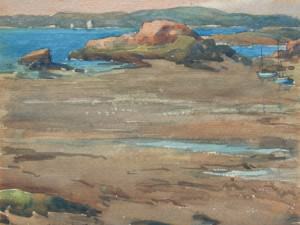 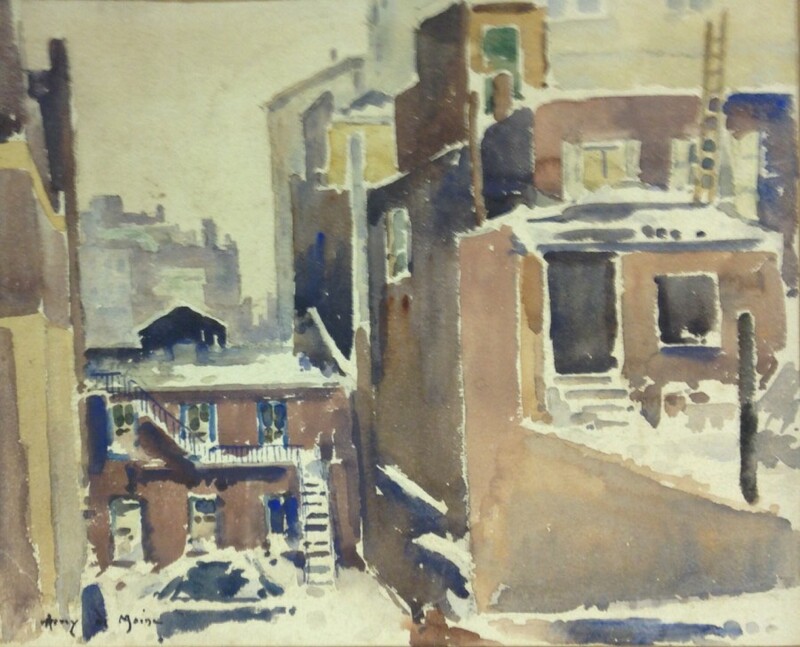 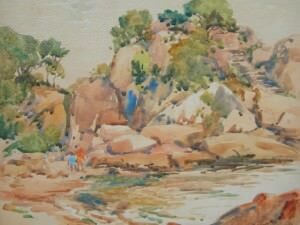 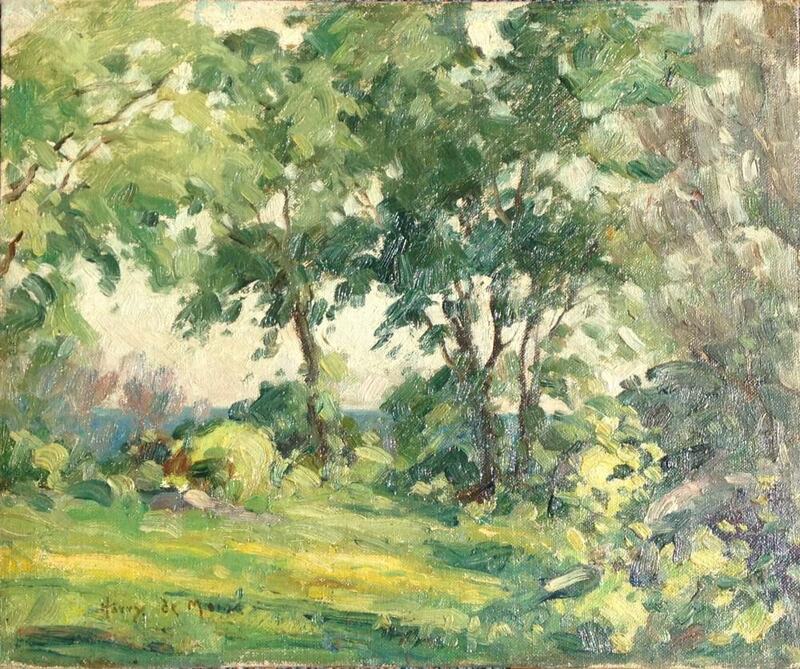 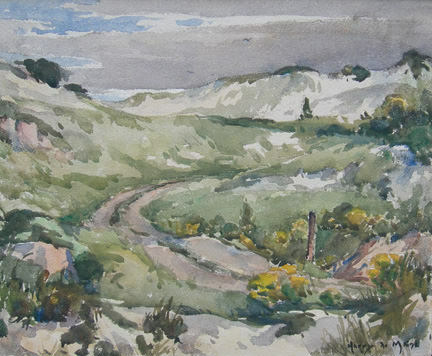 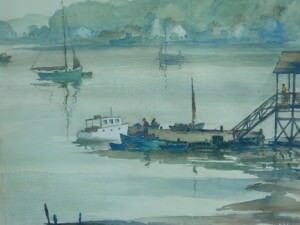 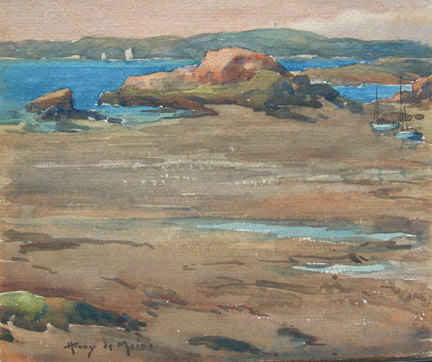 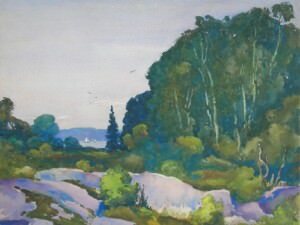 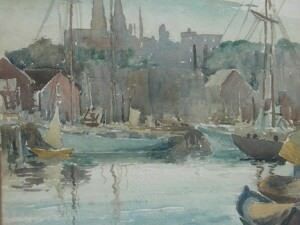 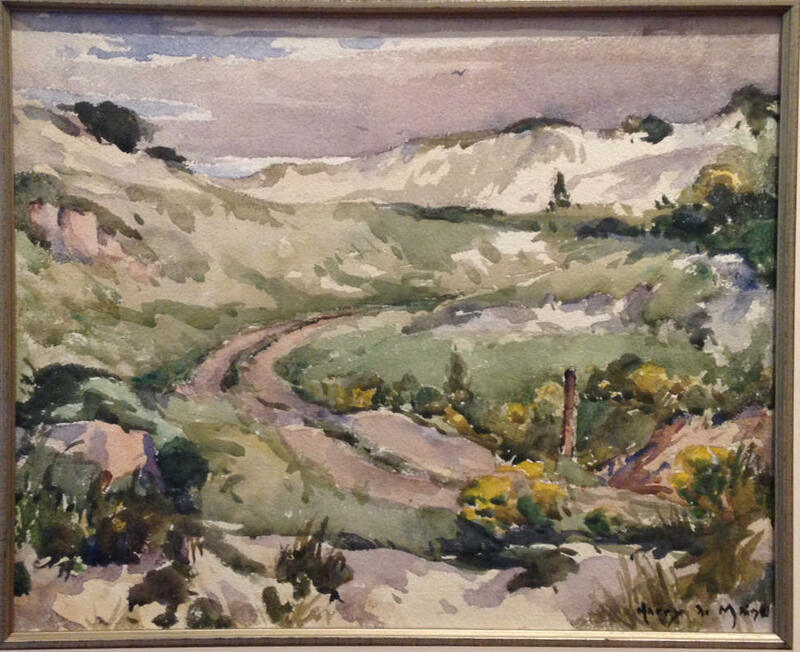 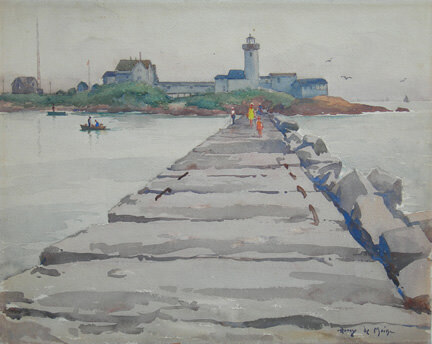 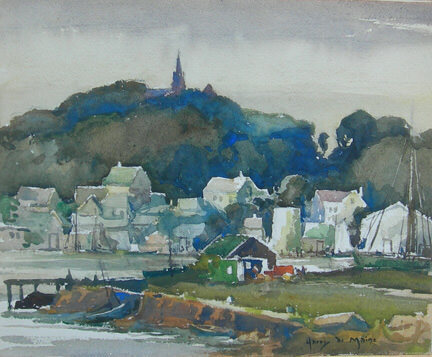 Additionally, Harry DeMaine became a member to a number of organizations; among them were the New York Watercolor Society and the American Watercolor Society, for which he held leadership positions, as well as the Salmagundi Club, the National Academy of Design and the Rockport Art Association. 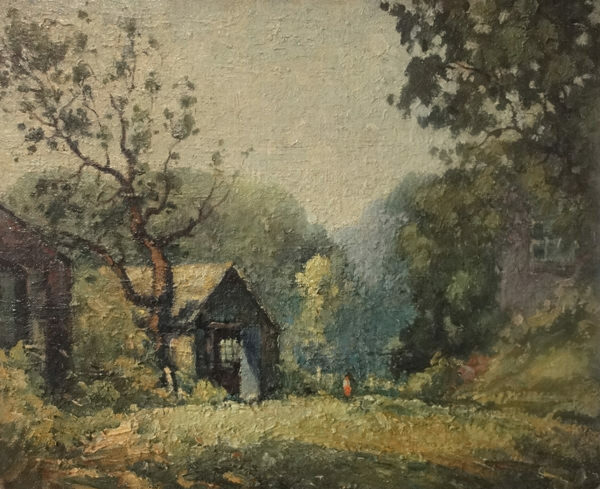 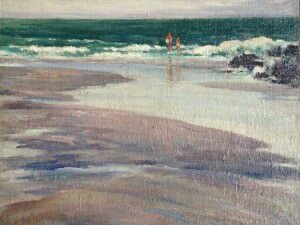 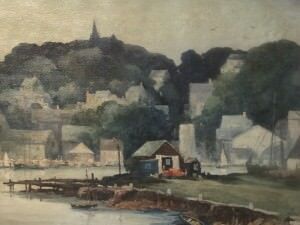 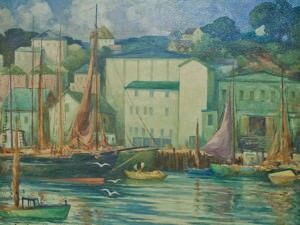 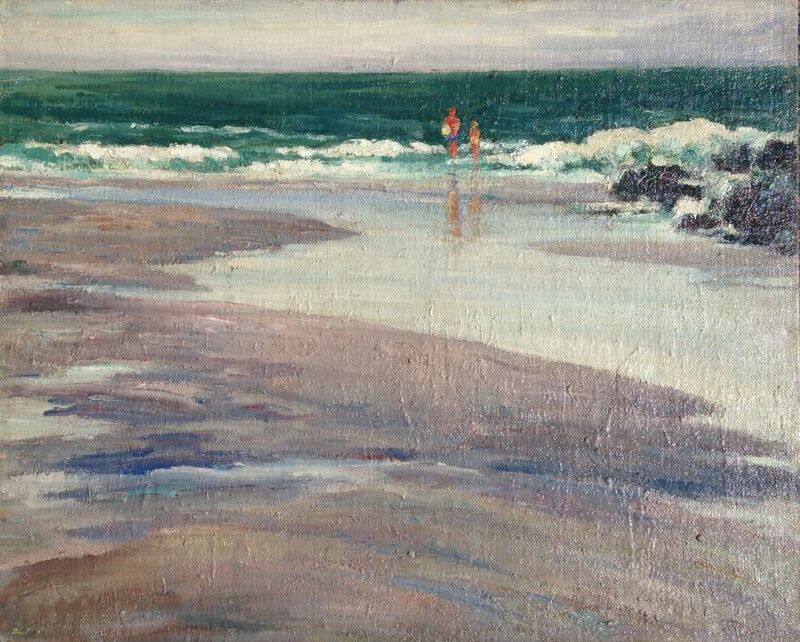 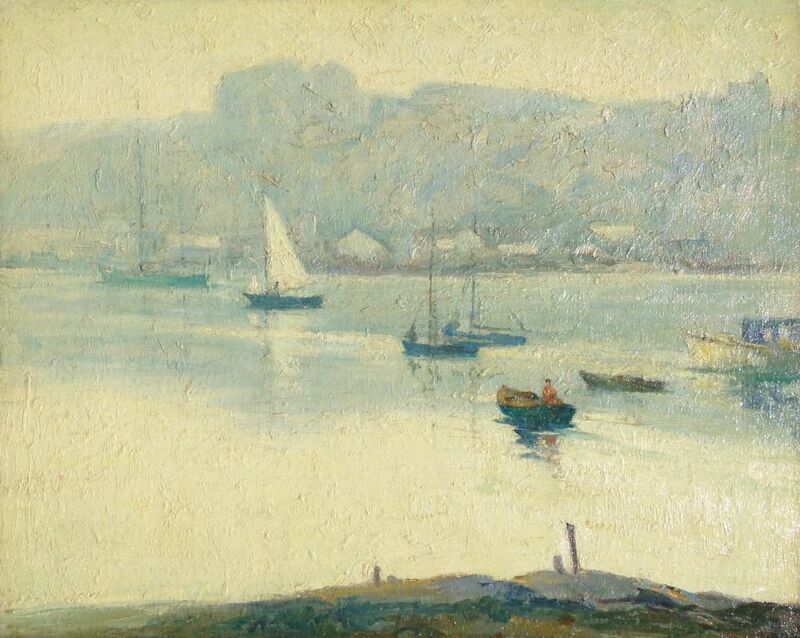 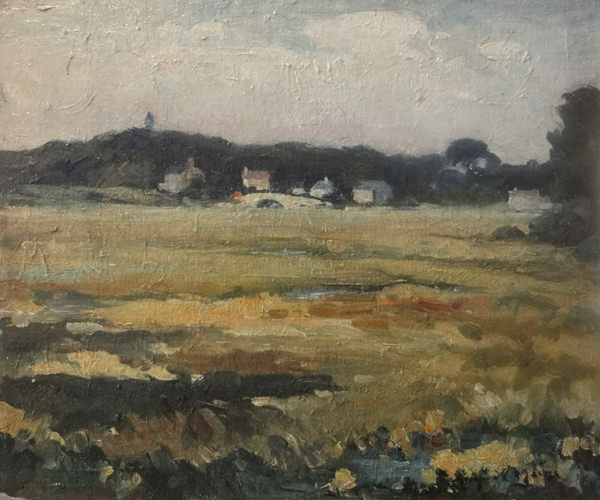 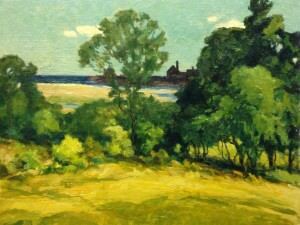 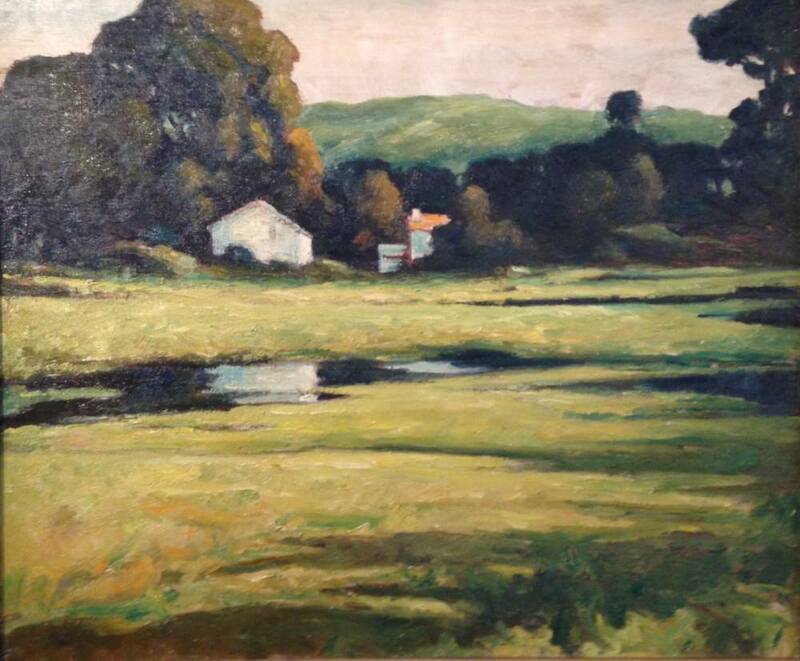 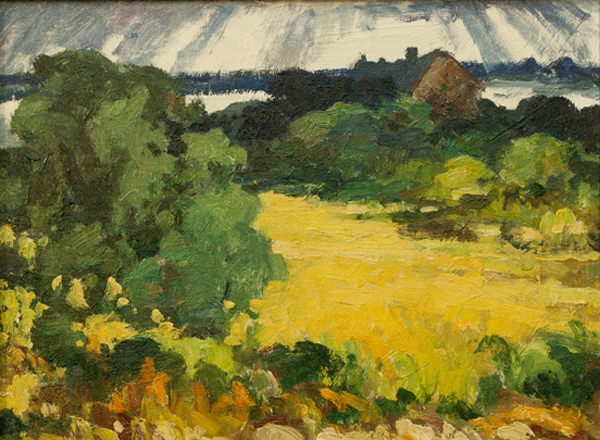 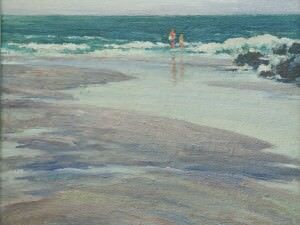 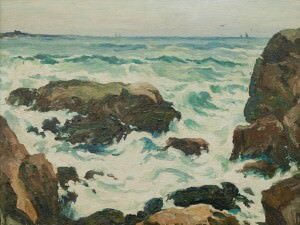 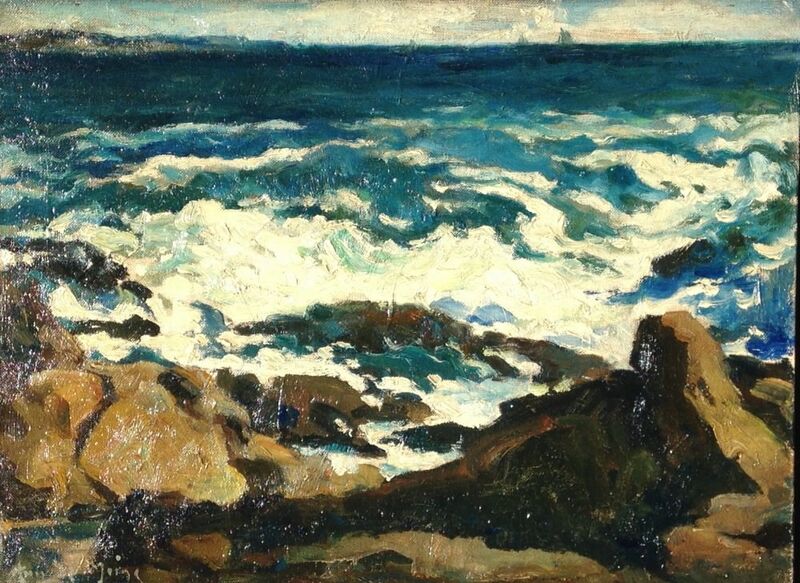 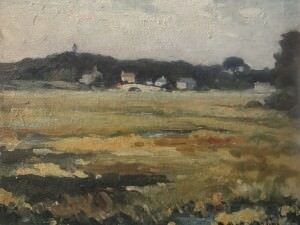 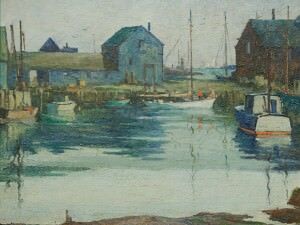 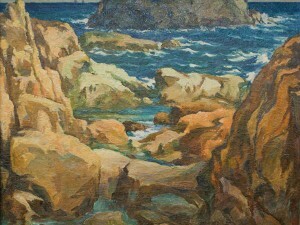 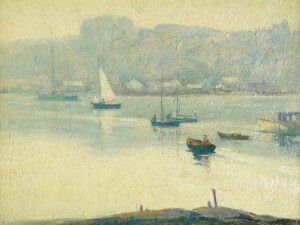 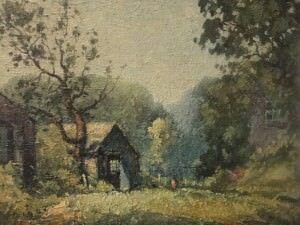 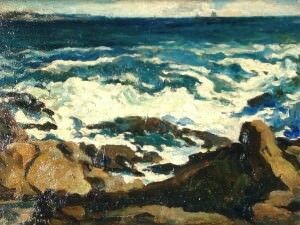 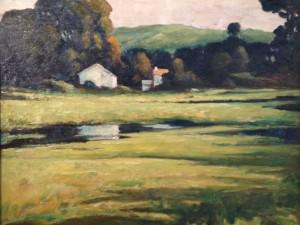 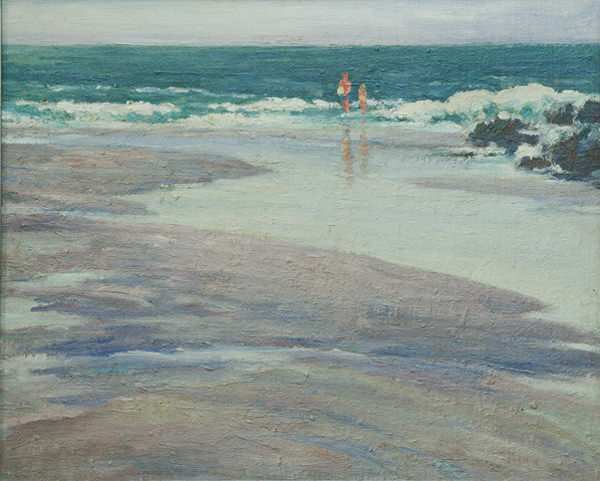 Although DeMaine was based in New York, much of his subject matter and inspiration came from time spent at Cape Ann and The Rocky Neck Art Colony in Gloucester and Rockport, MA. 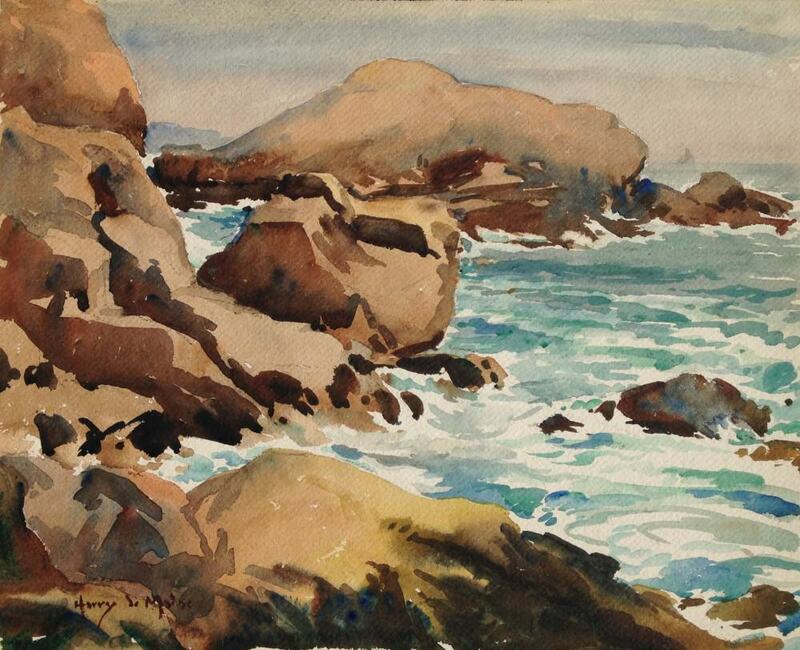 Harry DeMaine died in 1952. 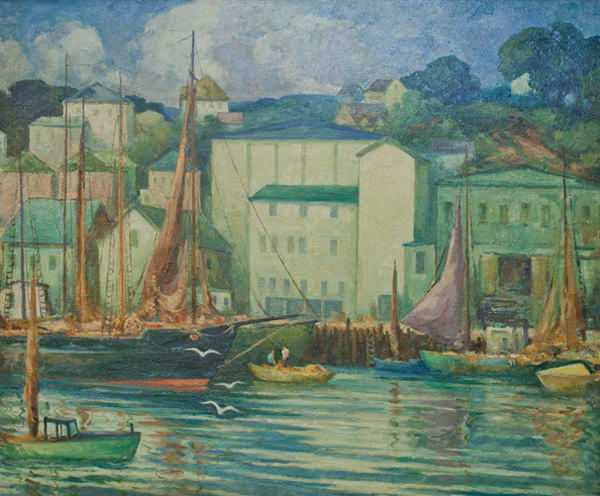 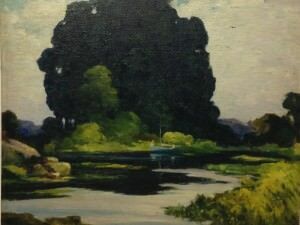 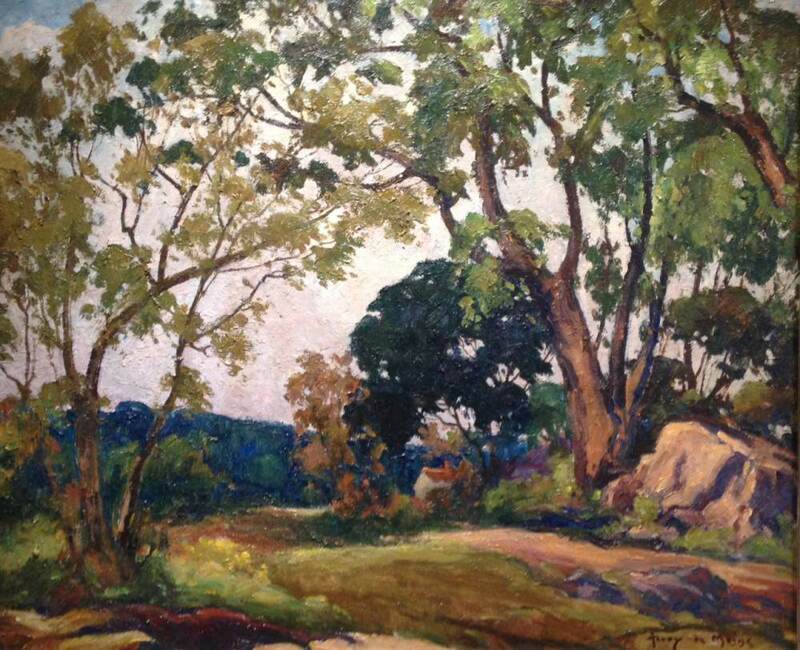 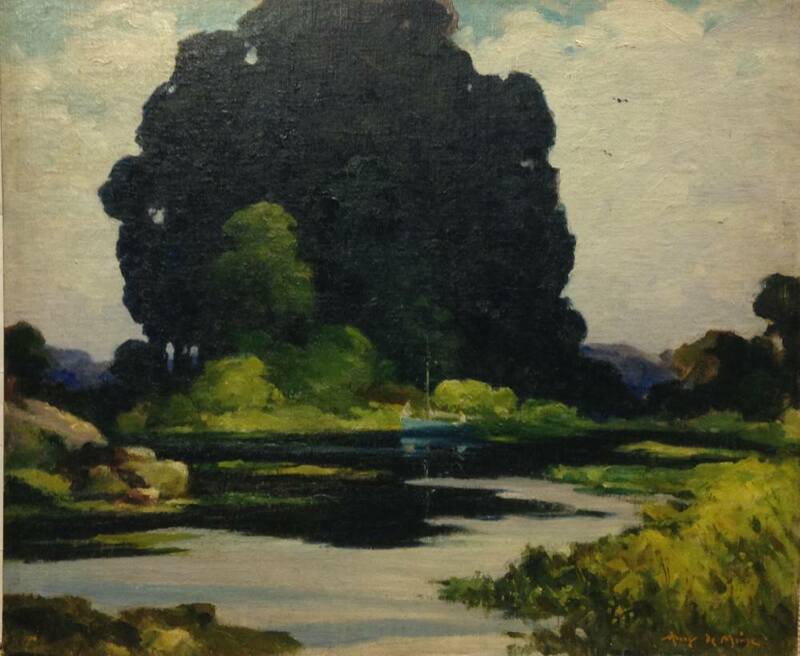 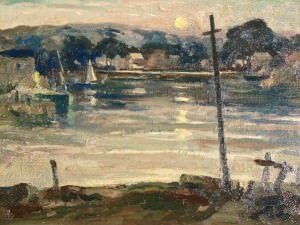 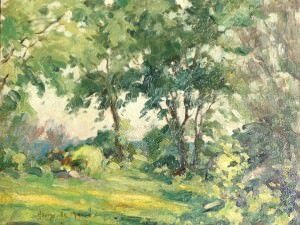 In addition to Gallery C, Harry DeMaine’s work can be found in the permanent collections of the Museum of Fine Arts in Boston, the Bevier Collection at the Rochester Institute of Technology, and the Cape Ann Museum in Gloucester, MA.